Wearing white can be super scary—we get it. But wearing all white, from head to toe, is even scarier. First, there’s the possibility of spilling. Pro tip: Stay away from ketchup and any other easily spillable condiments to avoid any annoying fashion hiccups. Second, there’s this age-old rule that suggests white cannot be worn after Labor Day—another reason rocking the colorless hue, well, slightly complicated when the seasons change. So, can you wear it or can’t you? We say yes—white is a totally seasonless color, and we’re all for sporting your bright whites in the heart of autumn because, to be honest, they’re a breath of fresh air amid the sea of warm reds, oranges, and yellows that typically dominate our wardrobes. 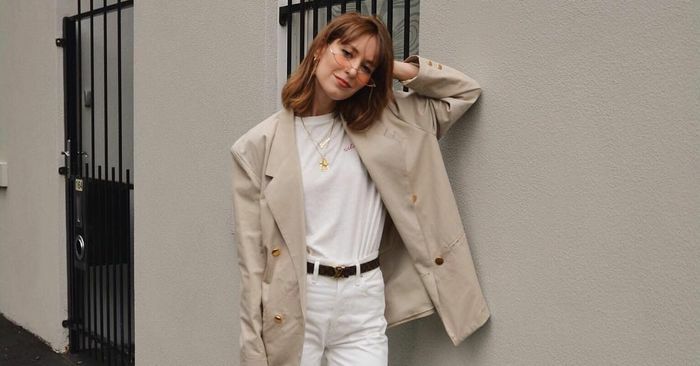 If you’re looking for more proof that the color is definitely wearable come autumn, look no further than our roundup of the chicest all-white outfits for fall. The trick to sporting the hue, though? Pack away your lightweight white linen, lace, eyelet, and instead, opt for pieces rendered in heavier, more cold-weather-friendly fabrics like wool, cashmere, or denim. Of course, if you’re not ready to part ways with your favorite summery LWD, you can still rock it in the early fall time—just be sure to bring some layering pieces when it gets chilly. Ahead, see the monochrome white ensembles that are inspiring and convincing us anew that, yes, the bright, crisp, fresh hue can and should be worn in the fall.